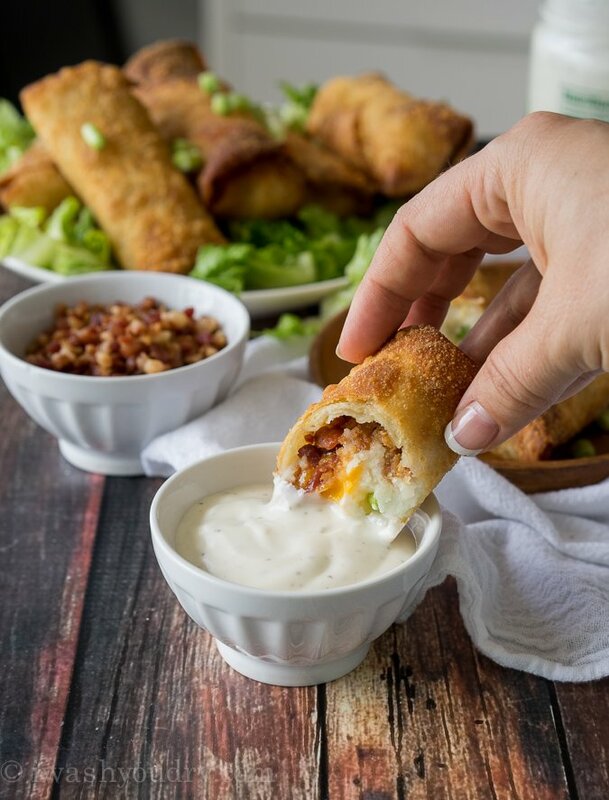 These Loaded Baked Potato Egg Rolls are everything you love about a fully loaded baked potato, all wrapped up in a crispy egg roll! Apparently I have a thing for egg rolls. They’re just so fun to stuff and enjoy! I’ve filled them with avocado (yum! ), two different sandwiches (yes and yes), and then one time there was that super crazy idea to stuff one with cake and pumpkin (brilliant). 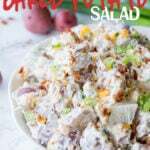 Start with some fluffy mashed potatoes. 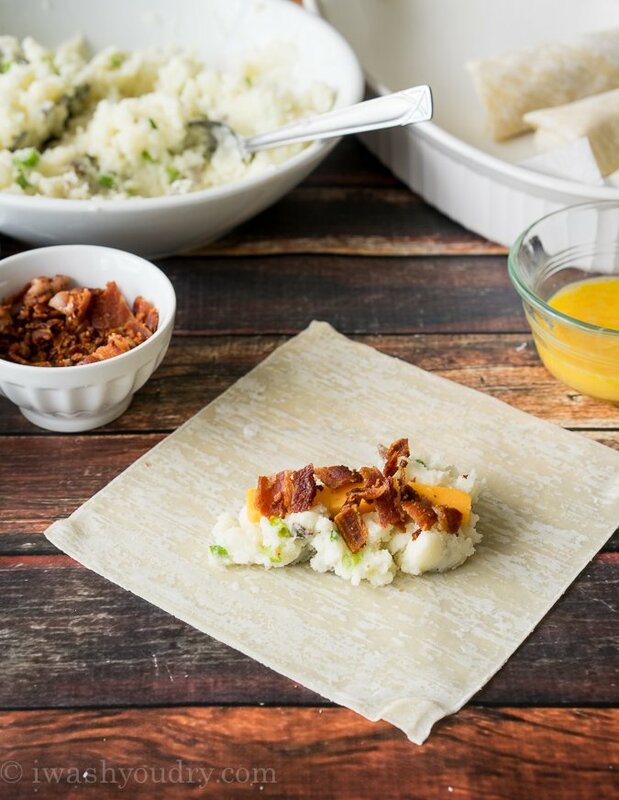 You can make your own, use pre-made, or leftover mashed potatoes work wonders too. Make sure the potatoes are cooled to room temperature before starting. 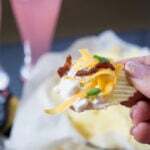 Place a heaping tablespoon or two inside an egg roll along with cheese and crisp bacon. 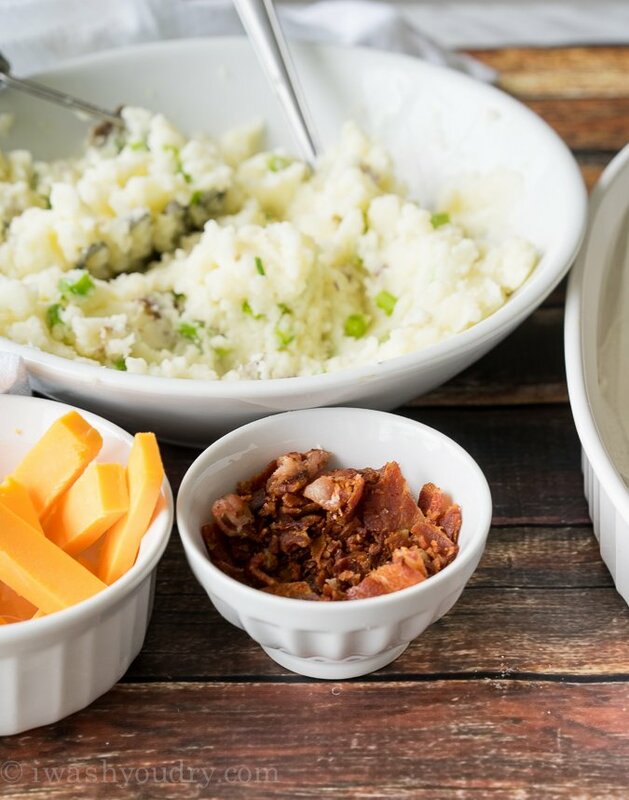 Just think how fun it would be to turn your leftover mashed potatoes into something more fun and more delicious! I don’t think I can ever have regular ol’ leftover mashed potatoes again. They must always be turned into egg rolls from now on. It’s written here, so let it be known. 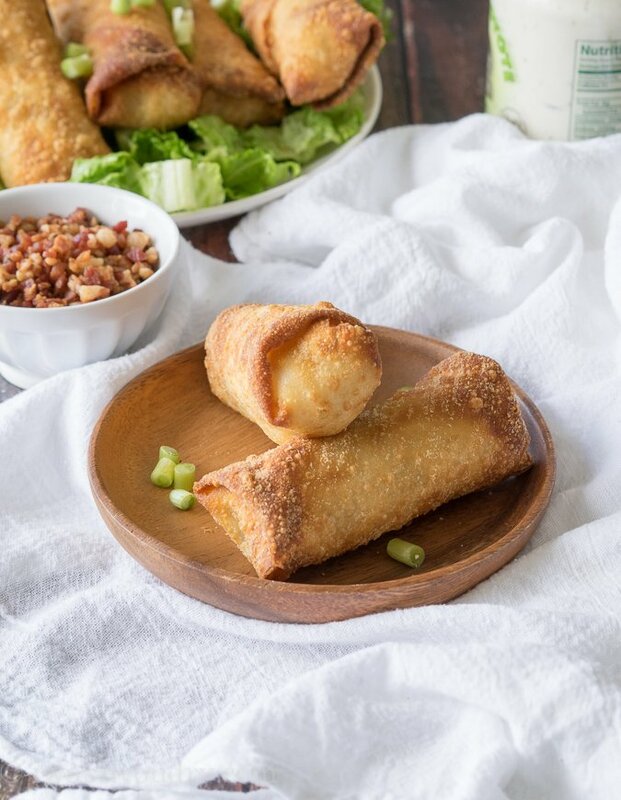 Honestly, these egg rolls are like a giant french fry that’s been stuffed with flavorful potatoes, cheese and bacon. They practically beg to be dipped in ranch dressing. And who am I to turn down a begging egg roll? 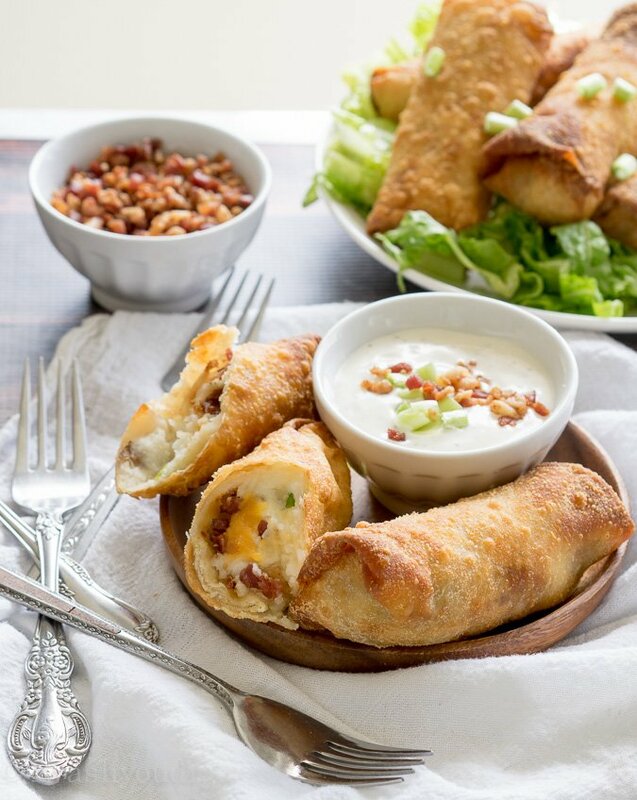 Game day, party day, birthday, Thursday… these egg rolls are perfect any day of the week. 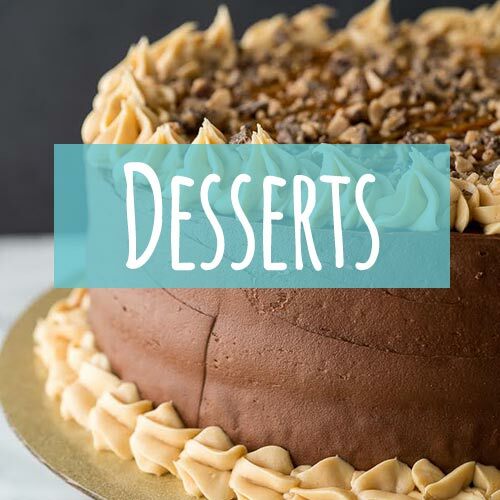 I had a few friends over when I whipped these up, because my self control is weak around these babies, so everyone could dig in. 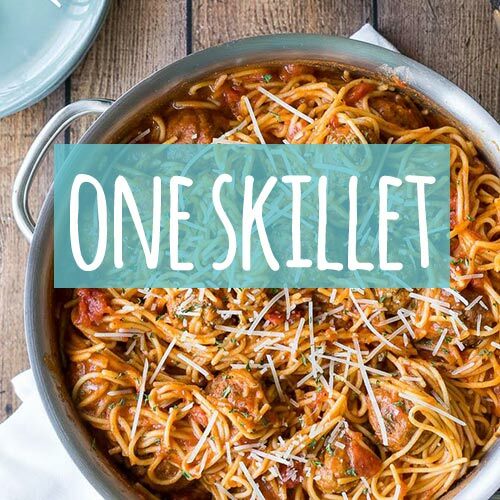 But then I was like… Serve these bad boys up with a nice steak! Boom! Steak and potato dinner!!! And then we all ate another one and forgot about steak. 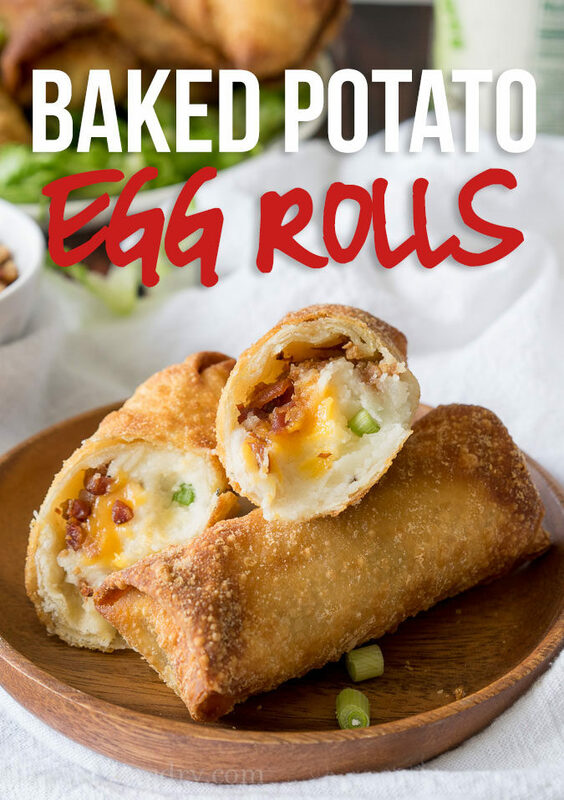 Don’t be the last one to the Loaded Baked Potato Egg Roll party! 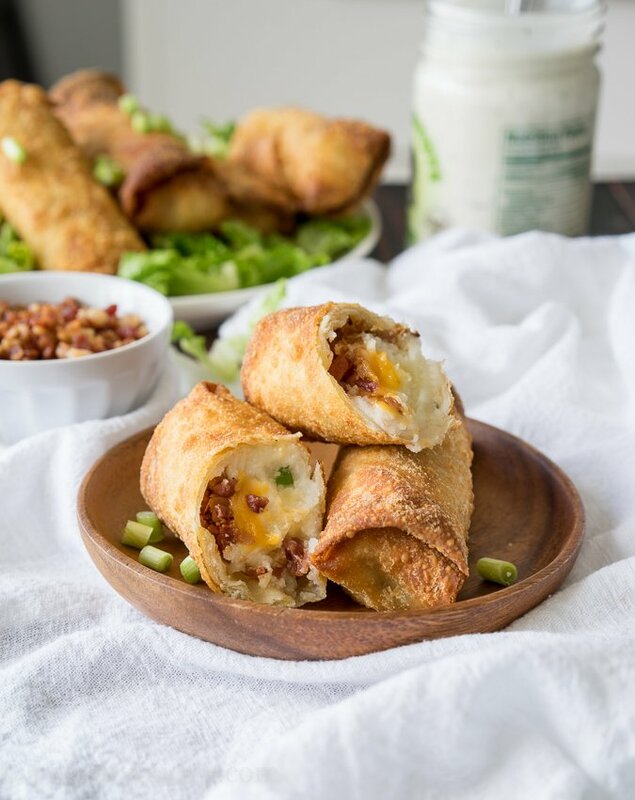 Loaded Baked Potato Egg Rolls give you everything you love about a loaded baked potato but in a crispy egg roll! Place the potatoes in a pot of boiling water and cook until tender. Drain and place in a large bowl. Add the butter, sour cream, garlic and salt to the potatoes. Mash with a potato masher or fork until the desired texture is reached. Add the green onions in and stir to combine. Let cool on counter for about 5 to 10 minutes, until they’re cool to touch. Lay the egg roll wrappers on a clean dry surface and place about 2 to 3 tablespoons of the potato mixture in the center of the egg roll. Top with a strip of cheese and some crumbled bacon. Brush the outer edges of the egg roll wrapper with the lightly beaten egg, then fold up the egg roll and seal shut. 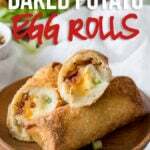 (click HERE for photos on how to fold an egg roll) Repeat with remaining egg roll wrappers. Heat oil in a deep fryer or heavy bottomed pot to 375 degrees F.
Fry egg rolls for about 2 minutes, or until they reach a golden brown color. Drain on a paper towel lined plate. Enjoy hot, dipped in a cool ranch dressing. 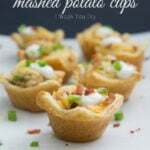 If using leftover mashed potatoes, you’ll need about 2 1/2 cups to 3 cups of mashed potatoes to make this recipe. You do not need to warm the potatoes up before putting in the egg roll wrappers. Hi i,m gôing to make these, what i like t know can i freezé them??????? I’ve never tried to freeze them, but I think if you make them and then let them cool, you can freeze and reheat in the oven. I would reheat at 400 degrees for about 10 to 15 minutes, until heated through. There are not many things that make my mouth water straight after dinner but this did!!! YUUUUUUUUMMMM!! These look fantastic!! I can’t even imagine. CARB UP! They are super fantastic! Thanks Shelly! I wouldn’t recommend baking these. The taste and texture are so much better when fried. This is such a brilliant way for me to use the potatoes sitting on my counter. I cannot wait to sink my teeth into these gooey, cheesy masterpieces! Put those spuds to work! These egg rolls are divine! Thanks Hayley!